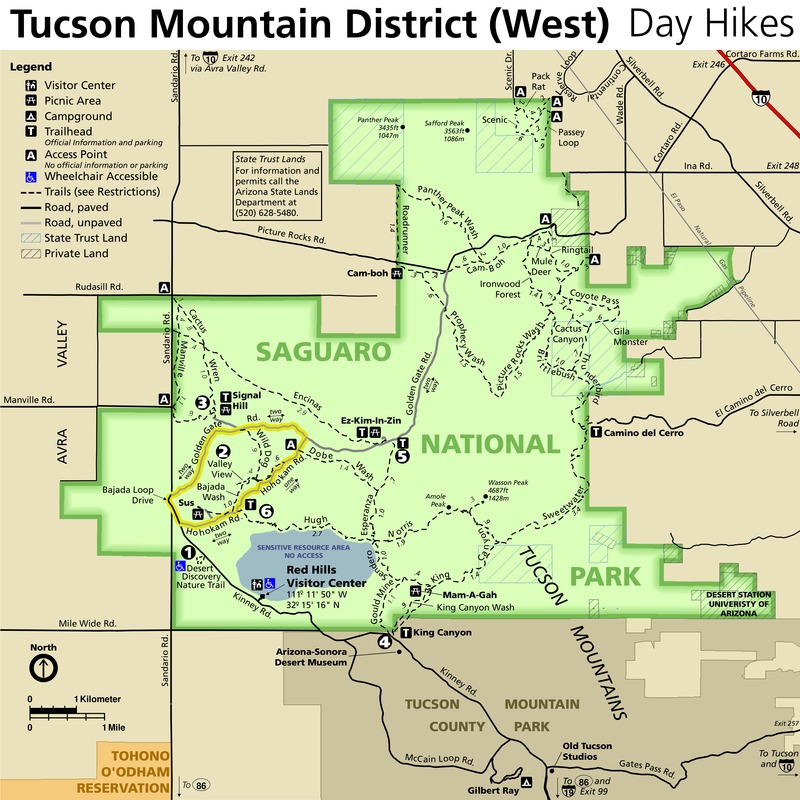 The Tucson mountain foothills north of Wasson Peak offer a lot of nice trails and nameless beautiful desert peaks that can be combined in all sorts of ways for various distance and difficulty. One of the nameless peaks I've been eyeballing is Peak 3037, which sits just north of a nice saddle connecting the Thunderbird trail with the Brittlebush trail in Saguaro West National Park. The peak is a short desert bushwhack from the saddle. Can't miss stuff. From the ubiquitous Ringtail trailhead just west of Contzen Pass, head across Picture Rocks road and cross through the gate into the wash. Hike the broad wash, which pretty quickly narrows down. In 0.13 miles the signed Camboh trail breaks off right. Stay on the ringtail. It quickly narrows down to a path and leaves the wash. In 0.45 miles from the trailhead the Muledeer trail breaks off right, hang left and stay on the Ringtail. This trail skirts around the west side of Picture Rocks with nice views and rambles through the desert on it's way to Picture Rocks Wash. There is perfect desert vegetation along the way. At just a smidge over 1 mile the trail ends in Picture Rocks Wash. Hang a right and head west along the wide, sandy wash. In roughly 0.4 miles a small signed trail breaks left out of the wash. This is the trail to Coyote Pass and Cactus Canyon. Follow the trail for about 0.2 miles to the signed split for the two aforementioned trails. Go right onto Cactus Canyon. This trail climbs gradually to a saddle, then descends down the canyon. There are tons of saguaro here (hence the name). 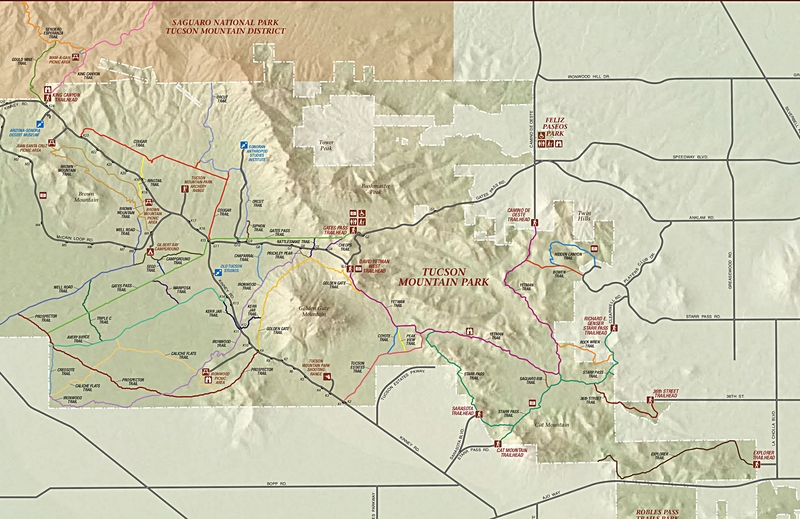 The Cactus Canyon trail officially ends in about 0.7 miles from the Coyote Pass junction. There is a sign announcing it's presence coming from the other way (Gila Monster trail). Just past this sign a small trail breaks off right and heads south. Take this unsigned trail. This is the Thunderbird trail. It heads south towards Wasson Peak, crossing over a couple washes along the way. The pointy Peak 3022 is just to your left, a very picturesque peak itself. To your right you can eventually make out the equally steep Peak 3037, with it's westerly pointed shoulder. Cruise along the Thunderbird for a total of 0.7 miles (right about 3 miles from your car) and then look for an unmarked trail breaking off to your left and heading west to the saddle just south of Peak 3037. Take this trail and climb briefly for 0.25 miles to the saddle at 2743 feet. Mark your spot and eye Peak 3037 due north. There is no trail. Just leave the saddle and head straight up. It's only 0.2 miles to the top, about 300 feet straight up. You can see the false summit to the left (west) so just make sure to keep right of it. There is a lot of cholla and loose rock on the way up so please be careful. 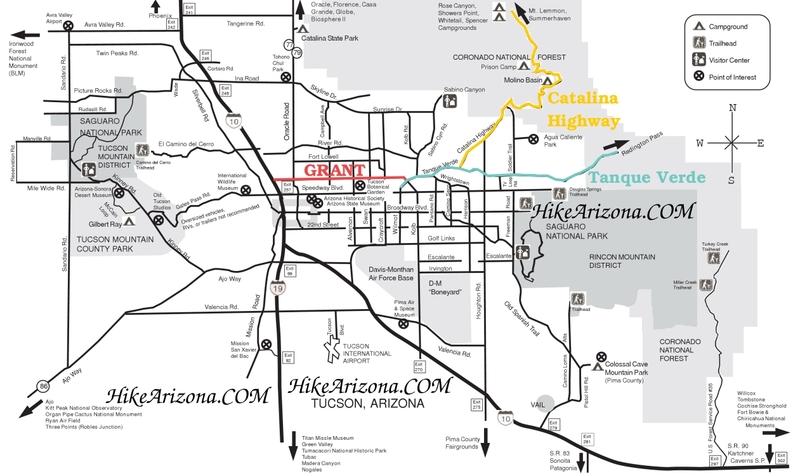 The top provides excellent 360 views of Tucson, Saguaro National Park and the Catalinas. Be careful on the way down and just pick your way back to the saddle. Back at the saddle continue west on the Brittlebush trail. It soon dumps you in Brittlebush Wash and heads north. This is a more narrow wash, with nice vegetation and color. Smooth sailing here for about 0.9 miles where you'll see a sign at the junction with Picture Rocks Wash coming in from the left. Almost immediately after is the signed take off out of the wash for the Ironwood Forest trail. 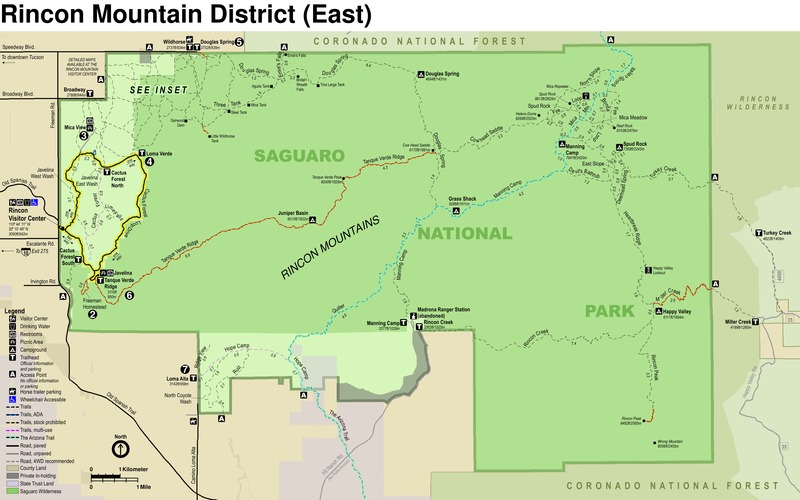 Take this out of the wash and ramble north and east through perfect desert and heavy saguaro stands for 1.2 miles to the Muledeer trail. 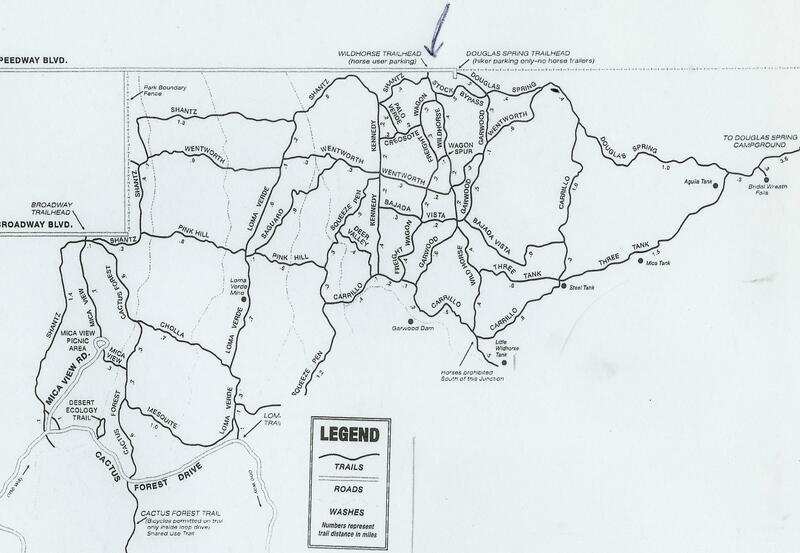 Hang a right onto the Muledeer and cut east for 0.3 miles back to the signed intersection with the Ringtail trail. 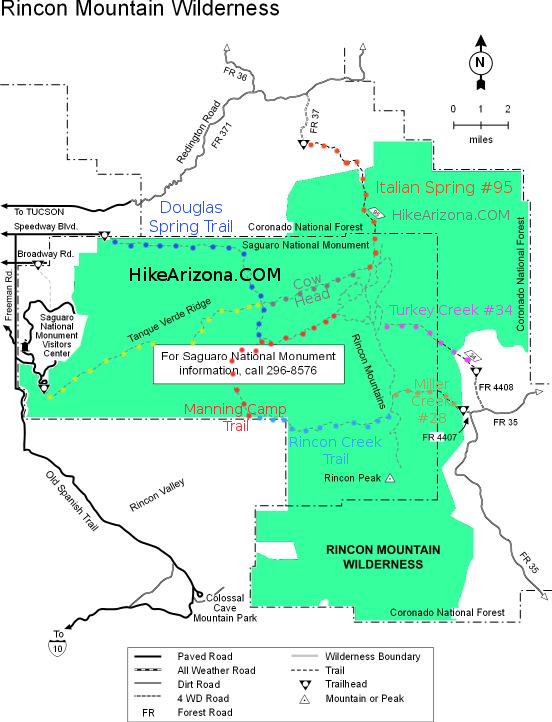 Take a right and hike about 0.45 miles back to your car to complete this roughly 6.85 mile peak-bagging loop.